I know our driveway has an edge to it and I’m bound and determined to find it! 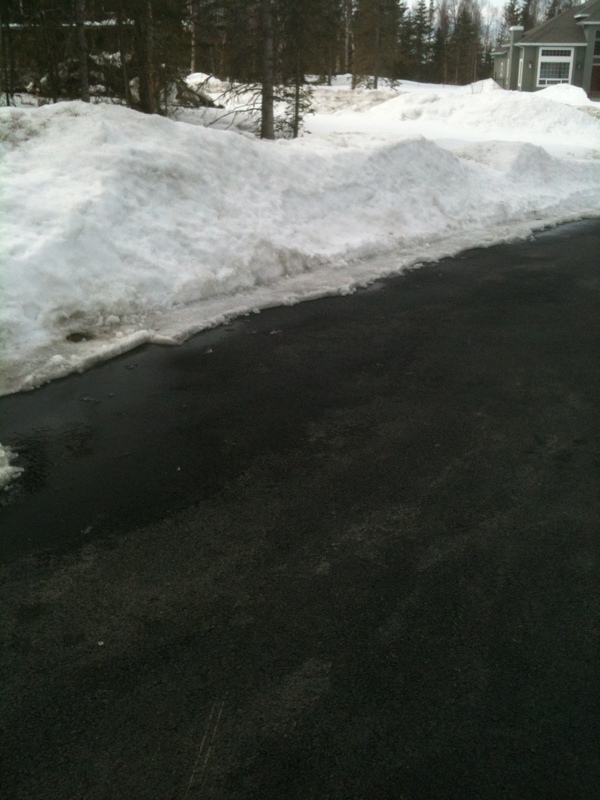 We weren’t here for the first two months of snow and thus our driveway had built up quite a layer of ice. Our neighbors have clean, black driveways. We do not. I’m a bit envious. Since the beginning of Break-up and warmer temperatures, Todd and I have been out scraping and shoveling the ice off our driveway. It’s quite a workout. I’ll let you know when I find the edge!